When you’re out and about this summer, you’ll need a tote to take everything to the beach or the boat, or back from the grocery store. This naturally beautiful bag will help you carry it off in style. 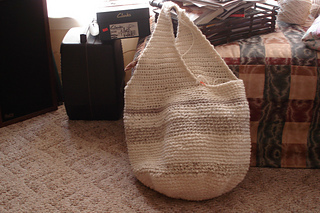 The soft crocheted cotton makes it comfortable to hold. The flexible fabric lets you pack it full, then fold it small when it’s empty. 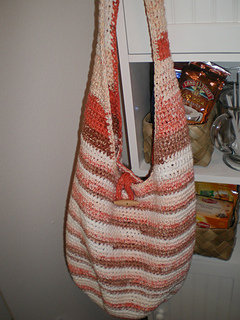 Cotton Tote designed by Classic Elite Yarns Inc. One-size tote is crocheted in the round with single-crochet stitches. Recommended for beginners.